Categorizing my favorite moves in 2012 was so much more difficult for me than it was in 2011. I had obvious, definite picks to close out 2011, and I have found myself nitpicking over which movies ought to make my top 1o favorites list this year. If you remember from last year, I picked up a movie for the tenth spot that performed horribly for critics and audiences alike, but I stuck to it, just as easily as it was for me to say that The Artist and 50/50 were the obvious stand-out movies of 2011 for me. I haven’t finished seeing all the movies I want to see yet, including Flight and Beasts of the Southern Wild, which I can imagine will most likely alter this list. My assurance comes from being a big fan of Robert Zemeckis films, and I keep hearing great things for Beasts. So there’s a good chance a couple of these movies may be bumped off to make room! Other movies I think could possibly make it onto this list are Amour and Life of Pi, but my hopes aren’t as high for these as they are for the former two films I mentioned. And a disclaimer before the list: I really enjoyed both The Impossible and Zero Dark Thirty, but they’re both the kind of movie that won’t get repeated viewings from me because of the subject matter. While both feats of their own, I really don’t care to watch either again with how rough and gritty it was. Another honorable mention that didn’t make my list was Lincoln. I enjoyed it immensely, but it’s running time had me looking at my watch a few times. The performances were incredible under Steven Spielberg’s direction, and I’m rooting for John Williams’s score to win the Oscar. As of now, here are my top ten favorite films of 2012! As of June last year, Seeking a Friend was my favorite film I had seen so far. It was a very different film and it struck a chord with me that no other end-of-the-world flick ever had. Steve Carell shined in his performance, and Lorene Scafaria’s directorial debut was promising. More than anything, I appreciated the music and tone of this film. Scafaria stuck to her ending and I’m happy to add this movie to my top ten list of 2012. Another film I haven’t seen on anyone else’s favorites or top lists is Celeste and Jesse Forever, which made its first appearance at Sundance. Rashinda Jones both writes and stars in this film that offers an entirely different take on relationships. It’s complicated, but it’s a well-written, thoughtful screenplay that poses questions that are difficult to answer. Any Samberg shows more range than one would expect. I really enjoyed this movie and hope that it gets more exposed! After reading The Hobbit in January of last year, I grew more excited for the first film of three to be released in December. While there were disappointments, such as extended scenes and added parts that I believe took away from the film, I still really enjoyed it. Where The Hobbit didn’t lack was in the acting. It was great getting to see Sherlock‘s Martin Freeman star as Bilbo, and one of the strongest and best scenes of the film was the riddle scene with Bilbo and Andy Serkis’s Gollum. For not being a huge James Bond fan, I really enjoyed Skyfall. I was hoping for something great after enjoying Casino Royale, and Skyfall does not disappoint at all. Daniel Craig does some of his best work here, and Javier Bardem makes for a great villain. The pacing and script are great and it gives a very satisfying end to the film. I wasn’t sure whether I’d love or hate Django going in, but it ended up being the former. For clocking in close to three hours, Django didn’t feel nearly as long as films like Lincoln or Zero Dark Thirty, for me. It’s chocked full of Quentin Tarantino humor, and both Christoph Waltz and Leonardo DiCaprio offer great supporting performances. Earlier in 2012, I had seen The Avengers four times in theaters. 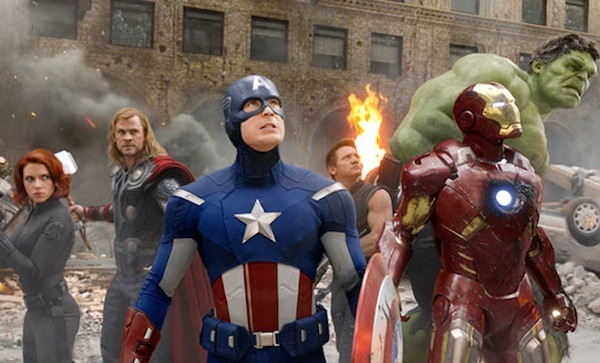 If you had asked me in 2011 what movie I was planning to see the most in 2012, my answer would certainly not be The Avengers. But I’m completely won over, having seen Captain America, Thor, and both Iron Man films multiple times before seeing The Avengers. It’s a solid film that delivers on multiple fronts, not only entertaining, but also works as an excellent inclusion of multiple characters to make one grand superhero film fit together. Early in 2012 I had caught wind of a little movie called Argo to be directed by Ben Affleck. It was one of my most anticipated films of the year, and I consider it one of the best films to come out in 2012. It’s unfortunate that the Academy did not nomimate Affleck for Best Director as he brought to film one of the most interesting and thrilling political stories. I’m rooting for Argo to perform well at the awards! I wasn’t expecting to place DKR so high on my list, but in conjuction with everything I’ve seen in 2012, I can’t not put it so high. Even with its many critiques by fanboys and critics alike, Christopher Nolan’s epic end to his Batman trilogy is so good that people really have to fight a bit to be critical about it. While Batman Begins is still probably my favorite of the trilogy, it’s a great problem to have to be able to pick the “worst” of the three when all were solid films. Nolan set a foundation for character films to follow by placing the bar high enough for critics to like and modest enough for audiences to really enjoy. When I first saw the trailer for Perks, I was convinced that it would be one of my favorite movies of the year. And while I’m usually wrong and set my expectations too high going in, Stephen Chbosky’s book and now film (which he also directed and wrote the screenplay for) won me over. It’s a coming of age story, but it’s written and acted out so beautifully, that I had a difficult time pinpointing what exactly it was about Perks that made it so likeable for me. The actors actually looked more of the ages they were playing rather than mid- to late-twenties adults playing high schoolers, as they do in most teen-based movies. And my top favorite film of the year is Silver Linings Playbook. It’s my favorite film of 2012 because it has the two qualities that attract me most to any film: strong writing and interesting characters. Based off the novel by Matthew Quick, Silver Linings tells the story of a man who is blissfully unaware he has issues. Bradley Cooper gives a stunning and turning performance which will hopefully afford him better roles in the future. Again, Jennifer Lawrence gets nominated for an Oscar, and rightfully so. It’s an interesting and different film, directed by David O. Russell, who’s known to like telling stories of dysfunctional families, his latest film being The Fighter. Even De Niro gives an unforgettable and entertaining performance in this movie. Moving, endearing, and performance strong, Silver Linings Playbook was my favorite movie of the year. Not Avengers. Not The Hobbit. Not the first of The Hunger Games or the last of Twilight produced the most anticipated hype for movies in 2012. I still believe that The Dark Knight Rises was the most anticipated film of the year. You can even add in a Tom Hooper and Quentin Tarantino flick near Oscar movie season, and I still hold firm in casting Nolan’s ending Batman in that top spot. And with so much hoopla surrounding a film, only the inevitable seems probable, right? In other words, it’s not really possible for a movie to fulfill the impossible expectations that we, as film viewers, critics, audience, or even your average, everyday film-goers, have placed upon the film and shoulders of one Christopher Nolan, right? Code language aside, The Dark Knight Rises was faced with an uphill battle the moment The Dark Knight hit theaters back in 2008. With a Batman movie receiving that kind of critical acclaim and love from critics and audiences together, how could the now much-recognized director deliver on an even higher and better level? He still has all the same people in his pockets–his brother, Jonathan, as co-writer; his cast with Christian Bale and Michael Caine leading; his composer, Hans Zimmer; his executive producer, Michael Uslan–the list goes on of course. But can the same team of people create an even better film? With the unexpected death of Heath Ledger, perhaps there were minor (or major) script changes following The Dark Knight. Regardless, following TDK‘s massive success came the decision to finish the series with a final film, thus creating another trilogy film set–and according to some (and me in that group)–the best film trilogy made yet. But let’s not get ahead of ourselves. I met up with my film buddy, Fredo, from FilmYarn yesterday to record a podcast on the film. When he posts it, I’ll be sure to include a link here. Before recording, one idea we talked about was how oftentimes many film reviews are just pretty summaries of the film. Am I guilty of doing that? Oh yes. Multiple times, in fact. But in order to offer something I hope will be a little fresher, I’m working extra hard with this “review” in order to make it not just a film review reiterating plot points, but something a little different, and hopefully something that will boost some outside-of-the-box thoughts and discussion from you guys. I forced myself to not write this review until I had seen the film at least twice. Often when I see a film a second time, I have a very different reaction. I’m happy to say that this was the case, even though I didn’t even allow 24 hours between my two viewings. After I saw TDKR for the first time, I loved it. Thought it was great. But I couldn’t dispose of the nagging feeling in my head that TDK was better, superior, and overall the better film of the two. And that was frustrating, because this was the END! Never again will I get to see a new Nolan Batman film and compare. Regardless, I went back the following day and caught an afternoon viewing with a friend who had yet to see it. The result this time? Still, I loved it. But my complaints had narrowed considerably. I liked it probably ten times better than the first viewing. Partly, because I caught quite a few more things the second time around, and was able to better relax while watching. Any movie that has a decent amount of depth and plot usually requires me to view it twice minimum in order to get out as much as possible about a film. Although this may seem like an odd comparison, I felt like I kept seeing parts of Sam Raimi’s Spiderman 2 while watching. Spiderman 2, was, in fact my favorite of Raimi’s Spiderman trilogy, as well as the best-reviewed of the three. That point aside, consider the plot of Spiderman 2. 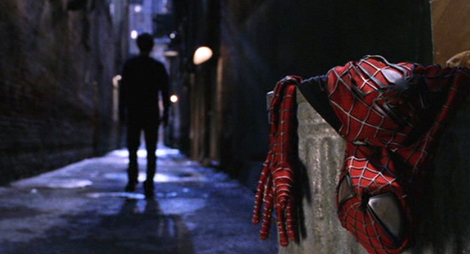 In the opening scene, Peter Parker loses his job. Mary-Jane is with another guy. Peter gives up being Spiderman for a short time. The guy is picked apart and stripped down. It isn’t until he hits his lowest point that he regains speed, reclaims his title as Spiderman, fights the bad guys, and reunites with the girl. In TDKR, in an effort to not spoil or give anything away (in this section), I’ll hold off on revealing too much. Essentially, however, the same idea takes place; any person who has viewed the trailer can piece that together. 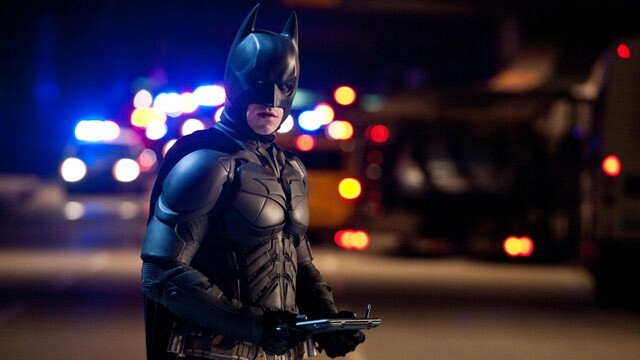 The idea is in the title–the action on Batman’s part, “rises”–implies that he must be low in order to rise. This idea moves me into the next thought I had . . . .
Fredo and I argued about whether TDKR treated its theme as a metaphor in a literal sense, or was it really just Christopher Nolan being heavy-handed in over-exaggerating the theme? I, for one, vote on the side of metaphorical. Picking up where I left off, Batman is in a low place, and therefore must rise. Several parts of the film adopted the idea of being low in order to rise. Various scenes were filmed underground. Bruce Wayne/Batman started off the film in a low place–weak mentally, physically, and emotionally. Even the time of day/weather played a role in literally rising. Fredo saw this use of emphasizing the theme of rising as more like banging the audience over the head with a hammer constantly. 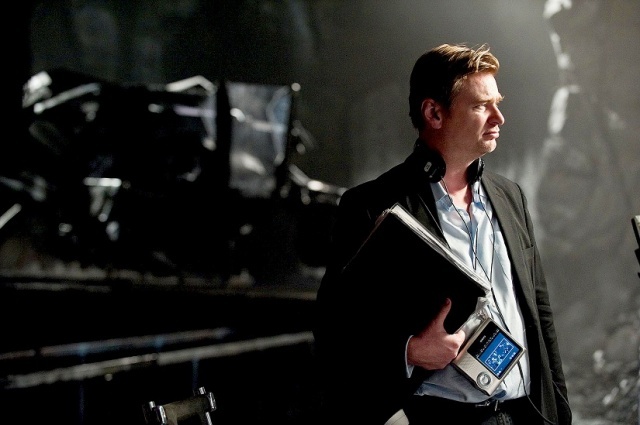 It wasn’t just enough to have Batman rise to the occasion, to rise to the problems of Gotham and put his best foot forward; Nolan had to emphasize the idea of rising in multiple outlets and formats throughout the film. While I very much appreciated the purposefulness of it all, others, like Fredo, did not. For those of you who saw the film, would you consider the film more metaphorical, or handled far too heavy? For those of you who have not seen it, please take this idea in mind and let me know what you think when you do see it! Anyone who has seen multiple Nolan films will agree that TDKR follows the same formula of his other films. Every scene, every piece of dialogue, every action, every tangible and intangible element has a purpose and point for being in its place at its time in the film. Everything is planned out. His films are literally puzzles, and each scene acts as a piece that must be placed at a specific time and place in the correct space. The element of time, while is important for the film, doesn’t bear the necessity it does in his other films. In Memento, the time functioned in a more nonlinear structure. In Inception, time could be extended in various levels of dream stages, thus elongating itself in order for certain actions to take place. Nolan’s Batman films don’t quite restructure time like his others; however, time plays an essential role in certain actions needing to take place. The film contained quite a few flashbacks in order to successfully tell the story. Nolan loves him some flashbacks. He makes great use of the device in The Prestige, Inception, and Memento. The flashbacks tell a great story that reveals pertinent information in the film. In his review of the film, Richard Roeper called watching this cast work as “movie heaven.” Even with TDKR‘s flaws, the cast really pulled out all the stops. There wasn’t a weak force on screen. 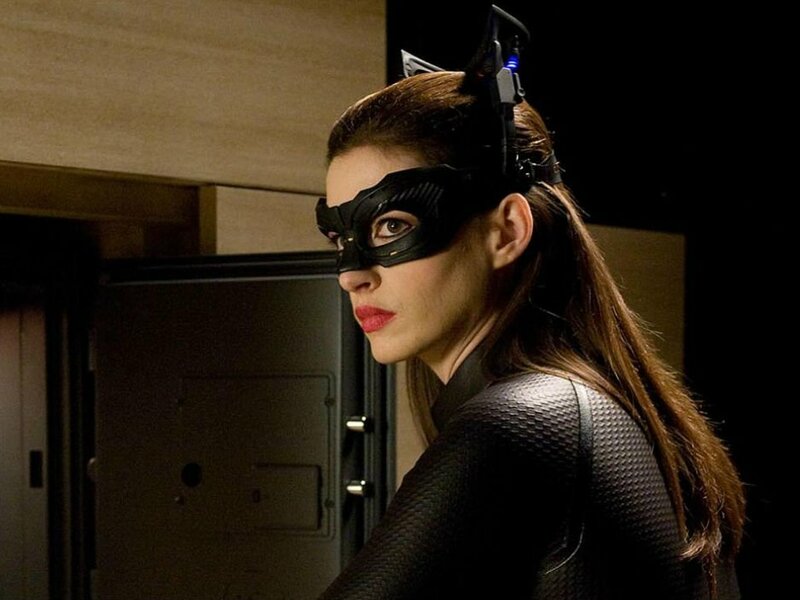 Anne Hathaway was a stand-out just for not screwing up the role. Viewers went into the film with the lowest expectations for her, and she turned around and surprised many of us, including me. Complaints have been made regarding Tom Hardy’s Bane. I talk more about his motivations in the Closing Thoughts/Queries section, but speaking just on his performance, I’d have to say he was nothing short of excellent. Talking with that device over his face had to be pretty difficult to deal with. He was menacing and expressed himself through his eyes, and while he might not have “stolen” scenes, he certainly took center stage when he was on screen. The scenes shared between Christian Bale and Michael Caine were some of the strongest. My one big frustration (SPOILER) was Alfred going MIA the entire second half of the film. And now I can’t hold back from spoiling parts, because in order to appreciate the idea that TDKR fulfilled Nolan’s Batman in such a satisfying way, one has to point out those lovely gifts Nolan wrote into the film. Getting to see Liam Neeson in a few short scenes as Ra’s al Ghul was such a treat. To learn of his connection in TDKR with Miranda Tate as his daughter, his heir who desires to finish his legacy, really makes it feel like we’re watching a finished, fulfilled version of Batman Begins. Cillian Murphy returning for a couple short scenes as a crazy version of himself (was he really being Scarecrow?) felt like Nolan just saying to the fans, “Here ya go, fans. Enjoy.” Even when the prisoners were released to run about and eventually engage in battle, I was again reminded of Batman Begins. I felt like TDKR had quite a few parts that mirrored Batman Begins. What did you think of Joseph Gordon-Levitt as Robin? Do you think the idea of leaving the Batman legacy to Robin was a smart choice? I, for one, enjoyed the reveal at the end, even though there were little hints dropped throughout the film if you hadn’t already caught on that JGL fit the Robin profile exactly. Did the ending feel like Inception to anyone else aside from me? Two different people afterwards asked me if that end scene was a dream. I’m not sure whether to laugh or consider the possibility! But really, I don’t believe it was a dream. Can someone please fill me in on what exactly Bane’s intention was? He kills, kills, kills. He constructs these nearly flawless plans to destroy Gotham and its inhabitants. You can’t tell me he did this all for the love of a woman. While the fake-out at the end revealing Miranda Tate as the villain was a little surprising, it really makes Bane’s motivations fall apart at the seams. Did anyone else wish that the Joker story would have been closed? Every villain in all three films–except the Joker–was brought up in some way. Ra’s al Ghul, Scarecrow, Two-Face/Harvey Dent, and of course the two in the film, Catwoman and Bane, all had a place. So many films end with the hero sacrificing himself by destroying something bad in order to save a place. In Lord of the Rings, Frodo sacrificed himself to destroy the Ring to save Middle-Earth. In The Avengers, Iron Man sacrificed himself to destroy a missile to save New York City. In Captain America, the captain sacrificed himself. Even Jack Bauer in 24 was about to fly a plane down in order to save the world, or something like that. The Dark Knight Rises follows suite: Batman sacrifices himself to destroy a time bomb to save Gotham. Yet all the heroes live in the end. Would it have been a better ending for Batman to die? 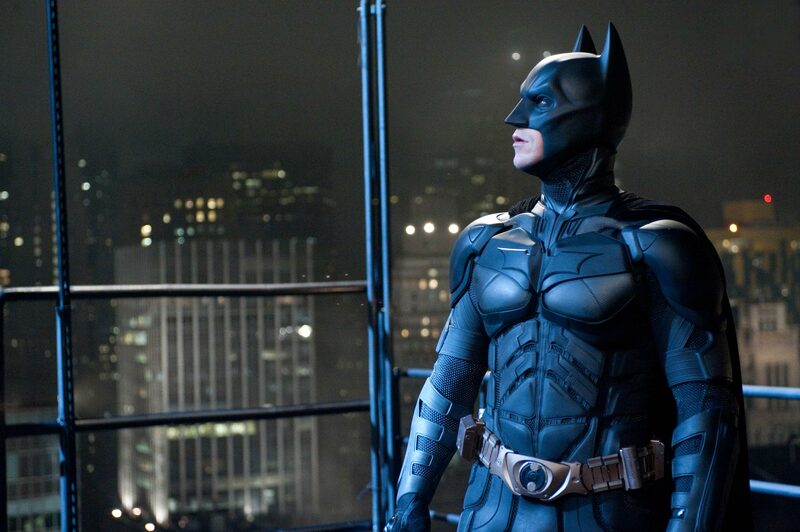 We have to compare (of course), so did you dig The Dark Knight or The Dark Knight Rises more? Was either one a better film than the other? While in some aspects I consider The Dark Knight the better film, I couldn’t imagine Rises being any better than it was. It completed a trilogy. It brought the series full circle. It even had hints of humor that the previous two films lacked. It pulled out all the stops, was epic in almost every proportion possible. I’ll really miss this series. I believe it’s the best film trilogy made yet. Although the goodbye is bittersweet, I can’t help but wonder, what is Christopher Nolan going to do next? 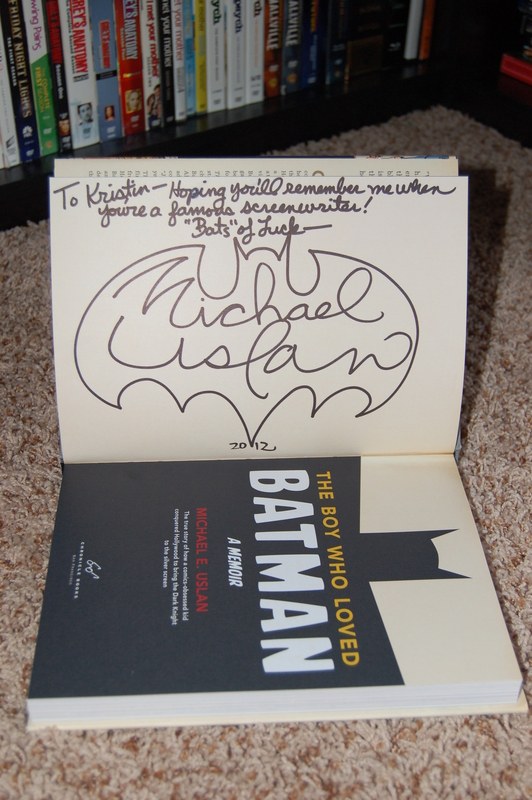 Little did I know a few weeks ago that meeting Michael Uslan, executive producer of all batman films, that I would find some of the greatest inspiration to pursue my passion for film. After finding my way into the right building at Harper College, I paid the seven dollar fee, saving myself a few bucks by handing the teller my college student ID that I unfortunately still seem to resemble. I grabbed a seat in the front middle section, not knowing what to expect. 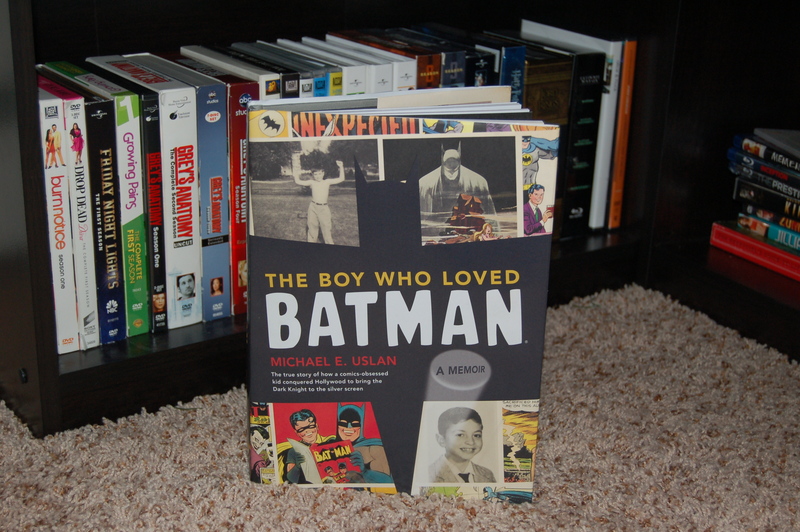 But this post isn’t about me, it’s about Mr. Uslan, the 8-year-old son of a stone mason, who, through his love of batman and comic books, latched himself onto one of the greatest film series to have hit screens. Michael grew up loving comic books. He said by the time he graduated high school, there were over 30,000 comic books stacked up, sitting in the garage. He knew he loved comics, especially about Batman. I don’t think he knew entirely what he wanted to do with his life, but I will never forget how much he spoke of his parents supporting him in whatever endeavors he wanted to pursue. His brother and he watched as his dad would get up early to work hard every day, staying out late working oftentimes, both of them desiring to have that same drive to spend their lives being passionate about their work. One day in college, Michael said he decided he wanted to pitch the idea of teaching a comic books class at the university. He needed a department to back him before he could make the pitch. After having accomplished this, he stood before a group of professors and deans gathered to hear this idea–that comic books could be considered art–and that Michael was capable and qualified to teach this class. He described himself as having long hair and wearing a Spider-Man t-shirt. I can only imagine what the teachers must have thought of his appearance. About 2-3 minutes into his pitch, the head dean stopped him, telling him that he didn’t need to go any further. Whatever this silly idea was that Michael was pitching, the dean considered it irrelevant. Can you imagine taking a comics book class at college? At the time, that was unheard of. The dean dismissed Michael, telling him that he had read Superman comic books as a kid; they certainly weren’t art then. Why would they be now? Michael then respectfully (so I assume) asked the dean if he could ask him two questions. The dean hesitantly agreed. First, Michael asked, “Do you know the story of Moses?” When the dean replied yes, Michael then asked him if he could recall a summary of it for them. The dean then went on to tell the story of Moses, starting with how the Israelites were slaves to the Egyptians, and that in order to save baby Moses’ life, that his mother placed him in a basket which she put in a river. There, an Egyptian family raised him as their own. Later, Moses grew up to be a leader to save the Israelites from the Egyptians. After the dean’s summary, Michael then reminded the dean that he was knowledgeable on Superman, given that he had read the comics as a kid. He then asked the dean if he could recount the story of Superman. So the dean gave in again, telling how the planet Krypton was about to be destroyed, so his parents put him in a ship in order to save him, sending him to earth. There, a family found him and raised him as their own. As Superman grew older, he eventually became a leader and savior to the people. And that’s how Michael Uslan became the first professor to teach a comic books class. Mr. Uslan said it took three days following that phone conversation for that reporter to make it to the university to find out what was going on. And from there on, Mr. Uslan said that there were multiple reporters, camera men, even celebrities who would pop in and sit through one of his classes. He made it in a large article in multiple newspapers across the country and even in Europe. His phone was constantly ringing with newsreporters and job offers. And one day soon following his overnight fame, Michael received a called from Marvel, offering him a job in New York City. For the first few years, Mr. Uslan didn’t say that he did anything all too significant at Marvel. Then one night, when he was just about to leave for the evening, he heard yelling and screaming. He walked over towards the sound and found one of the editor’s furious. Apparently the editor had a script assignment for the Shadow comic due the next day, and he could think of nothing to write about. Fortunately for that editor, Michael said he had an idea. After some pulling and tugging away and random ideas that came to mind, Michael had convinced the editor to let him write the script. Michael pulled an all-nighter, and handed in the script the next morning. Michael wasn’t able to answer that question for himself until the first Batman show premiered on TV. Mr. Uslan mentioned how excited he had been, with all the anticipation leading up to this. Finally. Unfortunately, Michael didn’t totally dig the silly, light-hearted, slap stick humor of the show. He wished Batman would be taken a little more seriously. He wanted to see that human, realistic side to Batman. After all, Batman really was just a human. He wasn’t bitten by a radioactive bug. He wasn’t an alien sent to Earth to save all of humanity. He was a human, who just happened to have a lot of money and desire to help other people. Mr. Uslan said it was that moment that he vowed to himself that somehow, some way, he would bring Batman to the big screen in a big way. But not just in a big way–he wanted the world to see the raw and humanistic side of Batman. He wanted the superhero who had influenced and inspired him as a child to influence and inspire other people in a way where they weren’t just laughing at him. So he set out to do just that. To shorten this seemingly long story, I’ll cut the final part of this short. Mr. Uslan described how he went about buying the rights to Batman. He got married. He went to school again and became a lawyer for four years. He quit his job, moved to California, pitched the idea of a Batman movie to every studio and was turned down by every single one of them. It was another ten years until someone by the name of Tim Burton thought a lot of Michael’s idea. And according to Mr. Uslan, the rest was history. Following his story, there was a short question and answer time. I was lucky enough to have caught his eye, having him answer my question. I asked him about breaking into the film business, specifically screenwriting. He gave short, but thoughtful advice that I truly appreciated. When the Q/A time came to a close, I stood in line and bought his memoir, getting one of the last three copies there. I then had him sign it. The batman symbol he drew was awesome! As he was drawing, I talked to him, telling him a little bit about how I grew up not being allowed to watch movies. He was encouraging and kind, and strangely answered that Wes Craven grew up the same way. I really wonder about that now. From the post, you can also see that I got a picture with him. 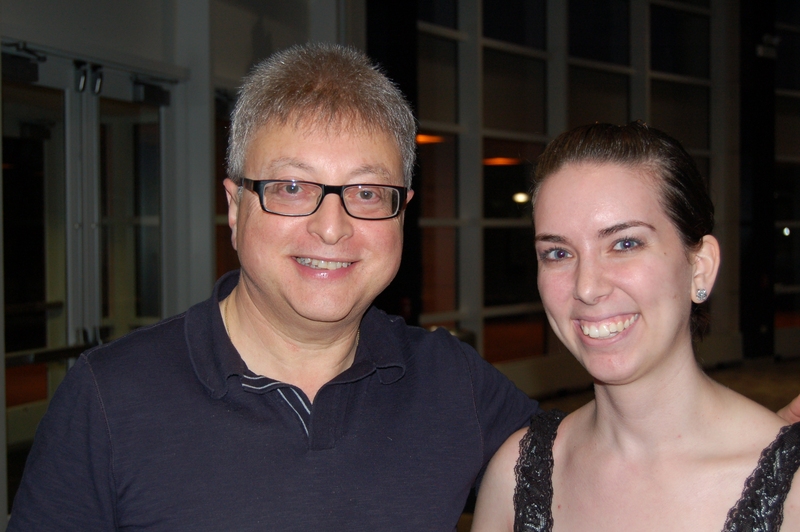 I have yet to think or imagine another moment in my life when I was as inspired to go after my passion like Michael Uslan did. With no connections to people, he still got to where he wanted to be. He kept his promise to himself to do what he wanted to, or to at least try, try, and try again, knowing he gave everything within himself to his dream. It’s neat to think that his life somewhat mirrors that of batman’s–he fell so many times, but he fought his demons. Now he’s rising. So if you have yet to see The Dark Knight Rises, look for Michael Uslan’s name in the credits. And when you do, think about how I got to meet him up and close and personal, and get to talk to him about achieving dreams. It’s people like Michael Uslan rather than actors or celebrities, that I look at and call successful, because it wasn’t a name or connection or physical appearance that got him to where he wanted to be. His drive and determination and desire to fulfill his dreams were what got him to where he is now. And possibly the coolest part about it all? He said people were looking into the film rights for his memoir. Keep a look out for that one, folks. I couldn’t help but find it most appropriate to be posting about the executive producer of the Batman films with The Dark Knight Rises opening this weekend. I’ll be leaving to see the film in less than four hours.